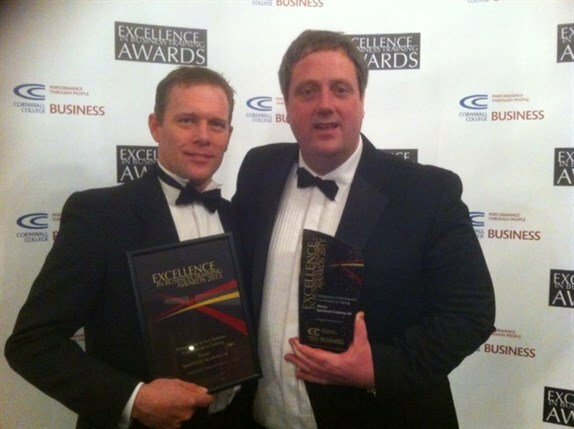 At a prestigious award ceremony on 30th January 2015 organised by Cornwall College Business to honour Excellence in Training 2015 in Devon and Cornwall, Spearhead Academy Ltd won the Entrepreneur and New Business Commitment to Training Award at its first attempt. The award was given in recognition of the Spearhead Academy apprentice programme run with Duchy College at Stoke Climsland, Cornwall. Spearhead Academy employs apprentices from all countries in which Spearhead International Ltd operates. The programme starts with a five-month residential Diploma in Agriculture at Duchy College. This is followed by fifteen months of practical work in Cornwall and on Spearhead International Ltd farms, either in the UK or Central Europe, together with further residential and day-release training at Duchy College. The first apprentices will graduate in June 2015. 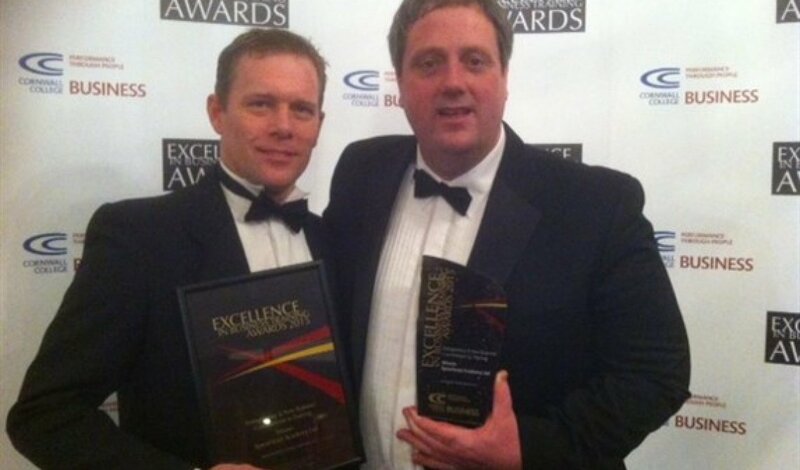 The award was received on behalf of Spearhead Academy Ltd by Roger Clarke (on the left in the photo), who is Apprentice Academy Manager and Duchy College Team Lead, and Chris Shepherd, Director of Apprenticeship Training, Duchy College.